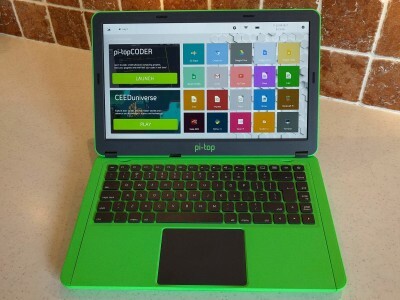 The pi-top is an all-in-one portable solution in the shape of a kit that transforms a Raspberry Pi into a laptop computer with a 14” 1920 × 1080 high-resolution TFT display, a keyboard with mouse pad, and a battery. An RPi 3 model B+ is included. Read on to find out what you can do with the pi-top. Experimenting, coding and building electronics around the Raspberry Pi can be simple, affordable and fun thanks to the pi-top ecosystem. pi-topPULSE is a cool accessory in the form of a HAT compatible device. It includes a 7x7 RGB LED grid, a 2 W-speaker and a microphone. Ambient lights reflect the state of the LED array. With pi-topPULSE, you'll code your own games, create music and lightshows, and get answers to any questions with Amazon Alexa. 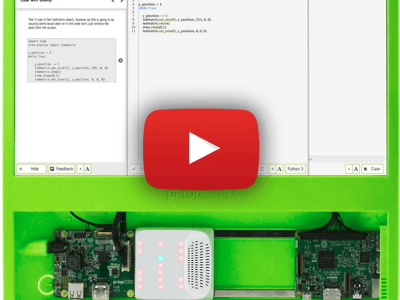 pi-topCEED is a stand-alone learning and education unit based on Raspberry Pi to get started with hardware and software. It consists of a pre-built framework, holding a PCB hub, a 14” HD screen, adjustable hinges, and a customisable acrylic slice for easy frontal access. Fitted with magnetic modular rails, you can use any pi-top add-on boards, such as pi-topPROTO. 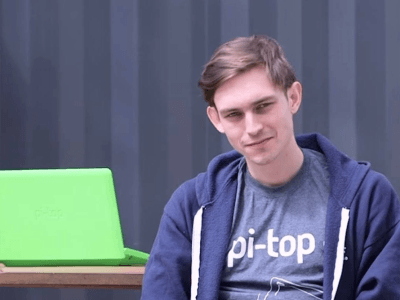 "pi-top is a modular laptop you build yourself" tells Jesse Lozano, pi-top co-founder. "It’s the perfect tool to help you start learning how to code, create awesome devices, and take your knowledge to the next level."? Elektor asked him a few questions about pi-top products. 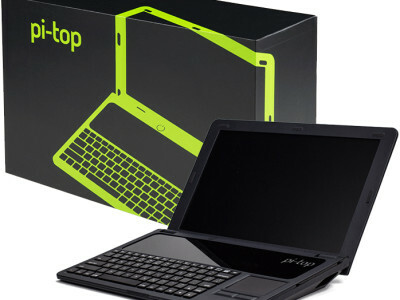 The pi-top turns a Raspbery Pi into a laptop and runs the pi-topOS operating system. The latest version has many improvements. We recommend that you upgrade your systems. 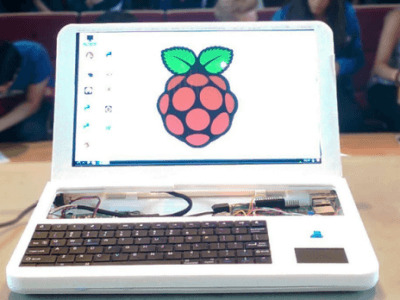 The pi-top converts your Raspberry Pi into a laptop. It comes as a nice kit that is very easy to assemble thanks to a great construction manual. We felt we had to add this case to the Elektor STORE stock, because we know that many of our members love the Raspberry Pi and we think that this enables you to take the RPi to a new application field. 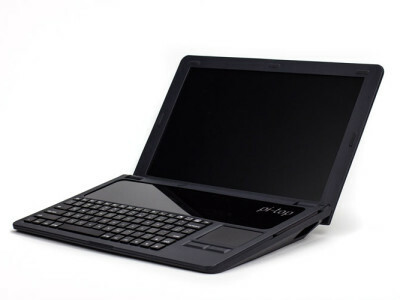 A high quality case, a big battery, a keyboard, a touchpad, and a 13.3 inch HD display allow you to use your Raspberry Pi wherever you want to. 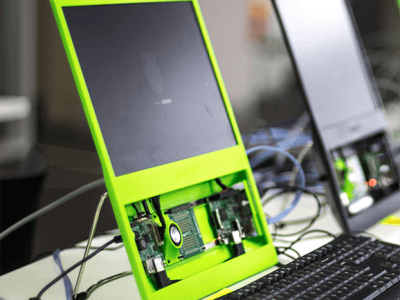 A bunch of Raspberry Pi enthusiasts have fashioned a laptop shell using a 3D printer to house a Raspberry Pi, 13.3” 1366 x 768 HD TFT LCD screen, keyboard, WiFi, touchpad and a battery to give up to 8 hrs operating time.